I would love it if these old classics would get out to our shores instead of picking up the US and UK DVD versions, Way of the Dragon, Rashomon, yea yea yea!! You talking about Japanese and Hong Kong action films? if i walk into a car wash, will i come out as a car? Ezy DVD have Fists of Fury at $9.95. However the DVD seems to be lacking in extras and a Cantonese language track. I too would like to see more Hong Kong and Japanese cinema but Madman seem to be busy with anime releases. 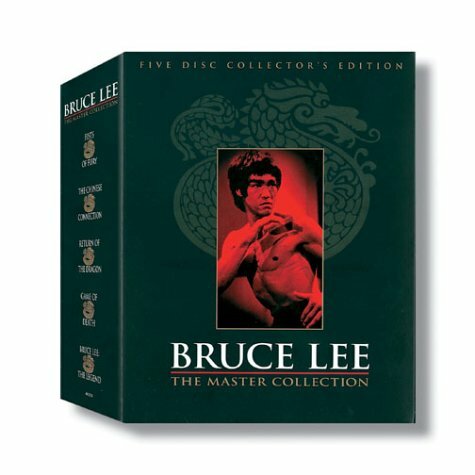 but bruce lee dubs are the best, with anime dubs you say "this is bad, i dont like this" but with HK dubs you say "this is funny, the after sound affects are top notch"
I resorted to importing the Bruce Lee DVD box set from Amazon last xmas. It's great. I would love Australia to release the 'Seven Samurai', as I have never even seen it! Im talking about the old classic japanese toshiro mifune (well not just his films -Akira Kurosawa) and huge cult films like Fist of Fury, Big boss, Game of death, a fine example would be the dvds released from the UK that are superior in quality and extras to the US versions...can't remember the company name tho.. Imagine if these were to reach Region4 hey! I'm a big Kurosawa fan, so I'd like to see some of those out here, too. I imported the Criterion edition of Rashomon from the US and thoroughly recommend it - they've done a good job of remastering it and some of the extras are great. The booklet even includes the stories by Akutagawa that the movie is based on.